Ireland and the United States have been entwined for generations. 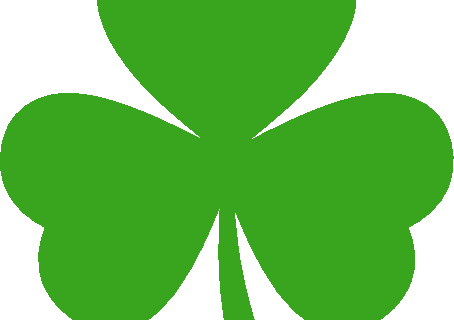 Over 30 million Americans claim some Irish ancestry, including 17% of Westmoreland County residents. Although Saint Patrick’s Day started as a Catholic holiday to honor the patron saint of Ireland, it has expanded into a day when folks of Irish decent celebrate their heritage with parades, parties, and lots of green. Learn more about Ireland, its people, and their influence on the United States and the world with these great books, or plan your own trip with travel guides from WLN member libraries. 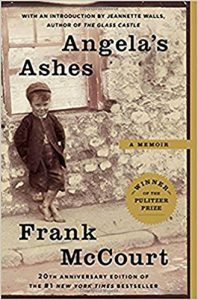 A Pulitzer Prize–winning, #1 New York Times bestseller, Angela’s Ashes is Frank McCourt’s masterful memoir of his childhood in Ireland. Frank’s mother, Angela, has no money to feed the children since Frank’s father, Malachy, rarely works, and when he does he drinks his wages. Yet Malachy does nurture in Frank an appetite for the one thing he can provide: a story. Frank lives for his father’s tales of Cuchulain, who saved Ireland, and of the Angel on the Seventh Step, who brings his mother babies. 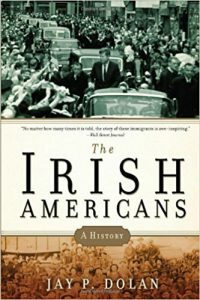 The Irish Americans follows the Irish from their first arrival in the American colonies through the bleak days of the potato famine that brought millions of starving immigrants; the trials of ethnic prejudice and “No Irish Need Apply;” the rise of Irish political power and the heyday of Tammany politics; to the election of John F. Kennedy as president, a moment of triumph when an Irish American ascended to the highest office in the land. The author evokes the ghastly ships crowded with men and women fleeing the potato blight; the vibrant life of Catholic parishes in cities like New York and Chicago; the world of machine politics, where ward bosses often held court in the local saloon. Rich in colorful detail, balanced in judgment, and the most comprehensive work of its kind yet published, The Irish Americans is a lasting achievement by a master historian that will become a must-have volume for any American with an interest in the Irish-American heritage. James Joyce’s Dubliners is a vivid and unflinching portrait of “dear dirty Dublin” at the turn of the twentieth century. 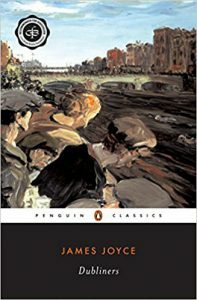 These fifteen stories, including such unforgettable ones as “Araby,” “Grace,” and “The Dead,” delve into the heart of the city of Joyce’s birth, capturing the cadences of Dubliners’ speech and portraying with an almost brute realism their outer and inner lives.